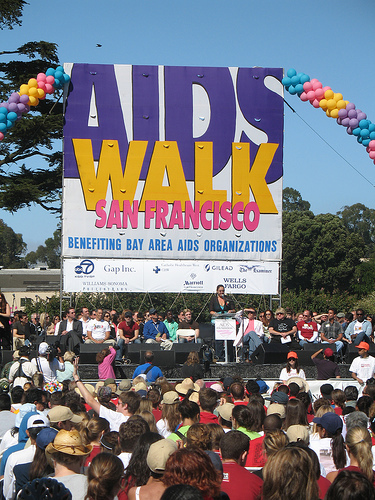 With the 25 th  annual AIDS Walk San Francisco  only a couple of days away, we wanted to remind our readers that there are still plenty of ways to support this very important event. Here are a few tips that’ll help you raise money for the walk that benefits local AIDS foundations. Bake sale – We don’t recommend that you look for any baking tips in our video of the week , but if you already have a solid recipe for some yummy goodies, a bake sale might be a nice way to get the money rolling in. If you feel like walking with a group of Cal students and alumni, there is still time to join the UC Berkeley fundraising team .